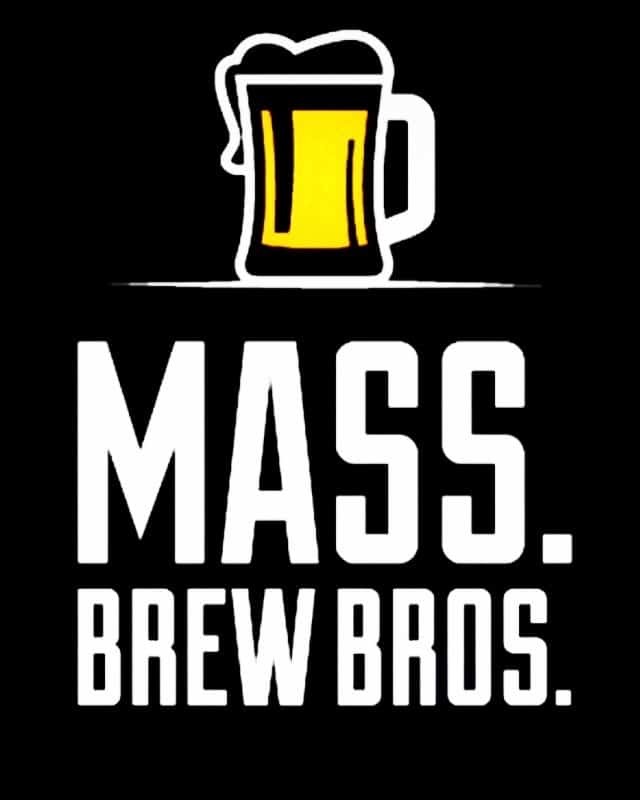 For craft beer geeks like us, few things are more beautiful than a delicious brew expertly poured into the proper glassware. 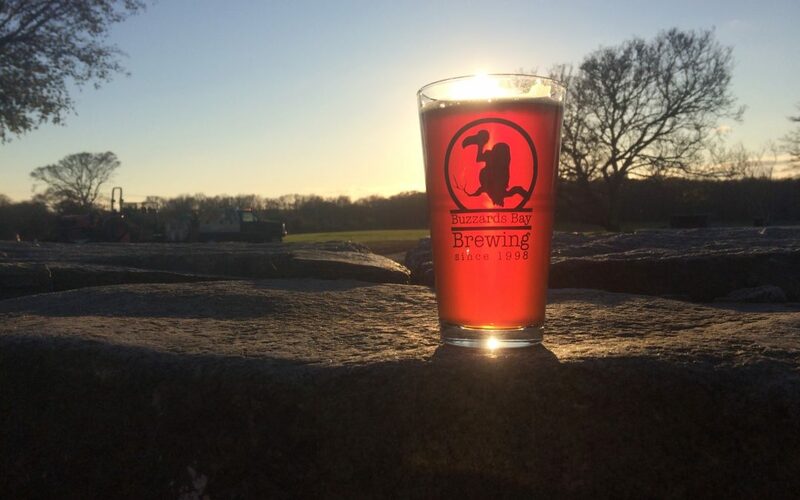 But even we have to admit that some of the Bay State’s breweries are also worth visiting for their amazing views. Here are nine we’ve been to that offer both. 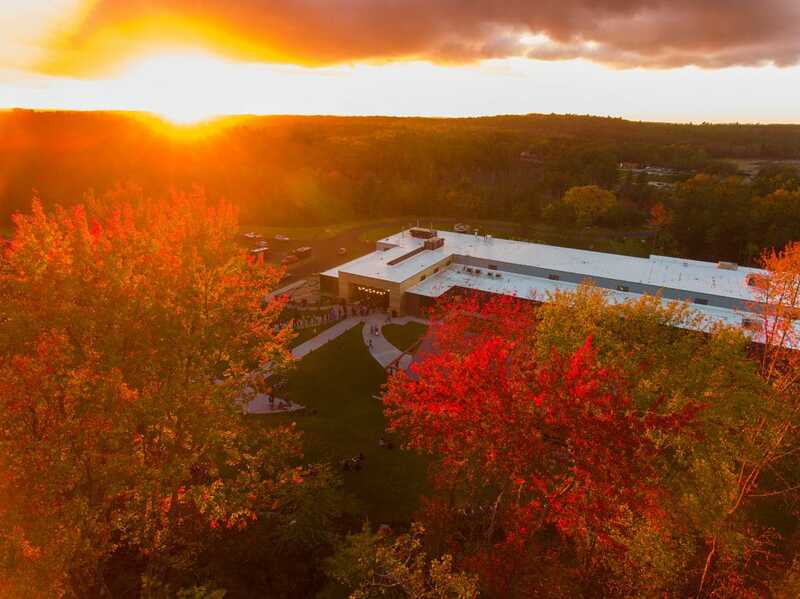 Courtesy of brewer and co-founder Nathan Lanier and his drone, this aerial view of the Tree House Brewery in Charlton captures the pristine 70 acres of woodlands and green space that surround the 45,000 square foot facility and its outdoor pavilion. Taken from across the street by neighbor Richard Cowles, this was the first picture snapped of Westfield Brewing Company after they relocated to Southwick in 2014. Events including concerts, festivals, and even weddings are often held on the hill. 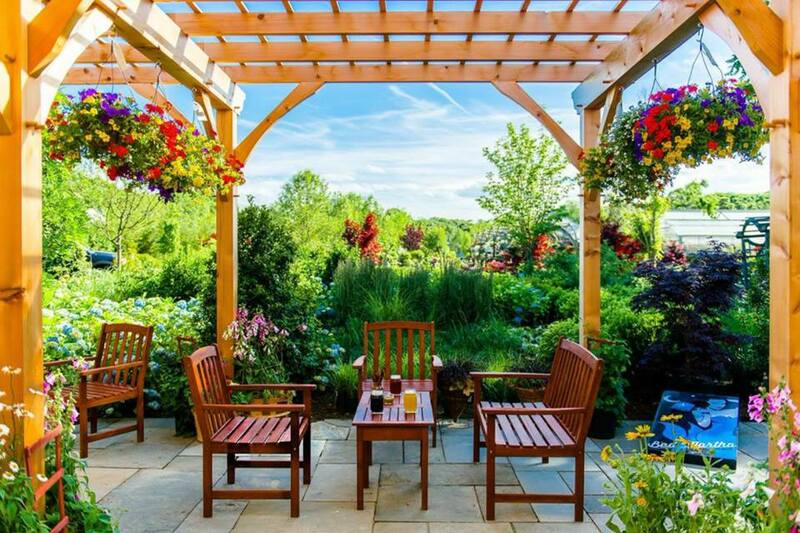 Situated on land owned by Donaroma’s Nursery in Edgartown, Martha’s Vineyard, the patio and beer garden surrounding the Bad Martha Brewery boast an amazing view of the island’s diverse and beautiful botanical landscape in the summer. 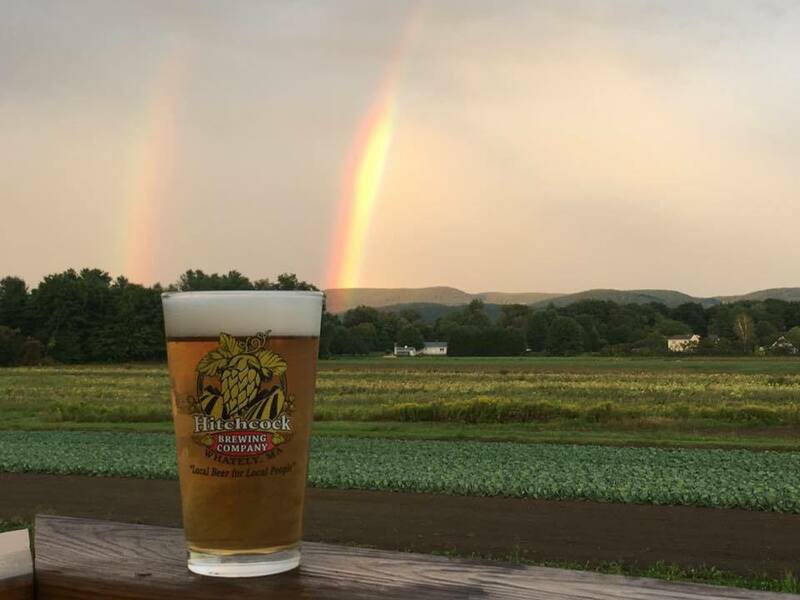 A double rainbow over Hitchcock Brewing in Whatley, founder and brewer Rich Pedersen captured this picture at dusk from the deck off the back of the brewery, which looks east toward Mt. Sugarloaf and the neighboring farms. 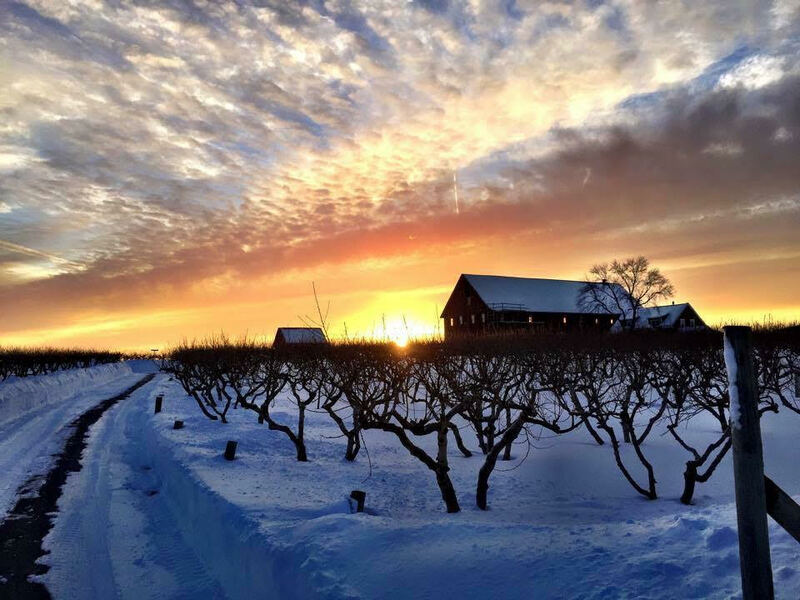 Head brewer Aaron Mayetchuck was on snow shoes when he turned his lens toward this amazing February sunset view of the old chicken barn and its surrounding 180 acres of cropland on Natick’s Lookout Farm Cidery & Brewery. 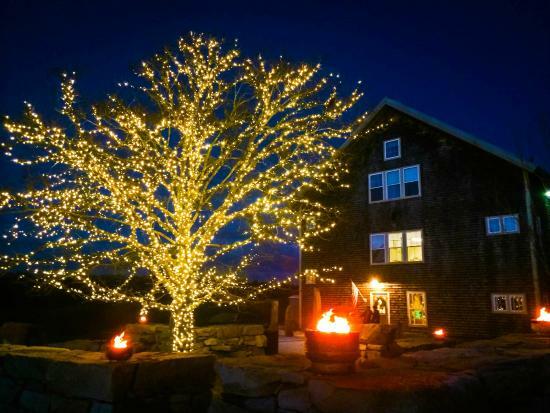 Nestled between Horseneck Beach and a 150-acre working farm, it’s beautiful year-round at Buzzards Bay Brewing in Westport, where most nights the tree is lit and the fire pits are roaring. 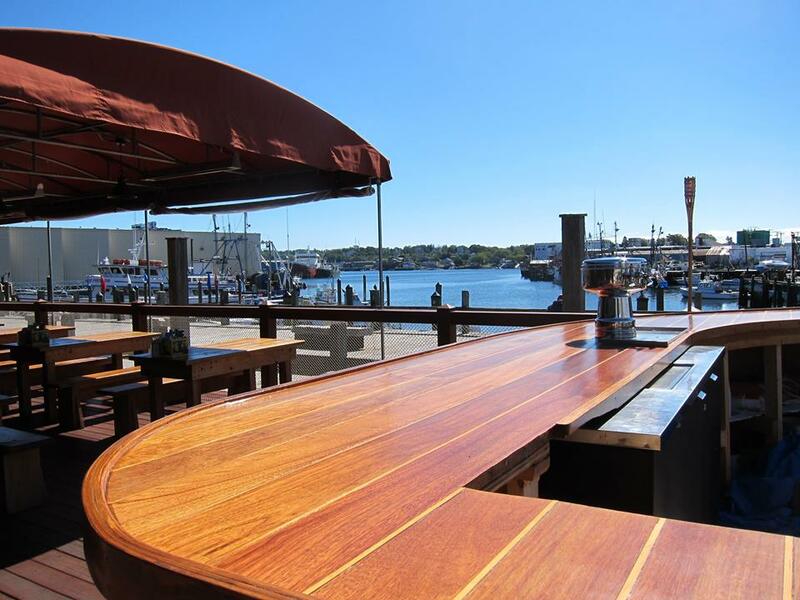 Taken by owner and head brewer Jeremey Goldberg, this shot showcases the back deck at Cape Ann Brewing in Gloucester which overlooks the city’s historic working waterfront, the perfect backdrop for enjoying a cold beer on a summer day. 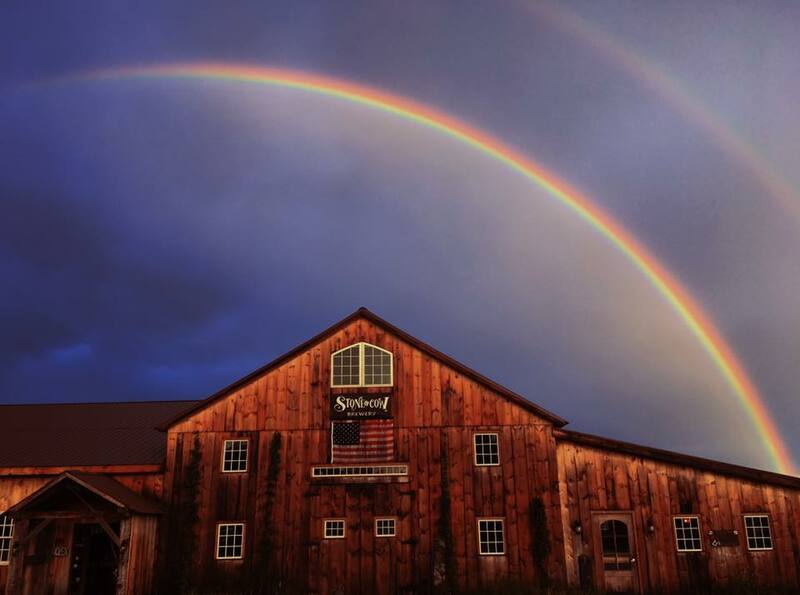 Owner and manager Sean DuBois snapped this picture of a gorgeous double rainbow over Stone Cow Brewery in Barre. Behind the barn is a thousand acre view overlooking a beautiful horizon with Wachusett Mountain as its centerpiece. 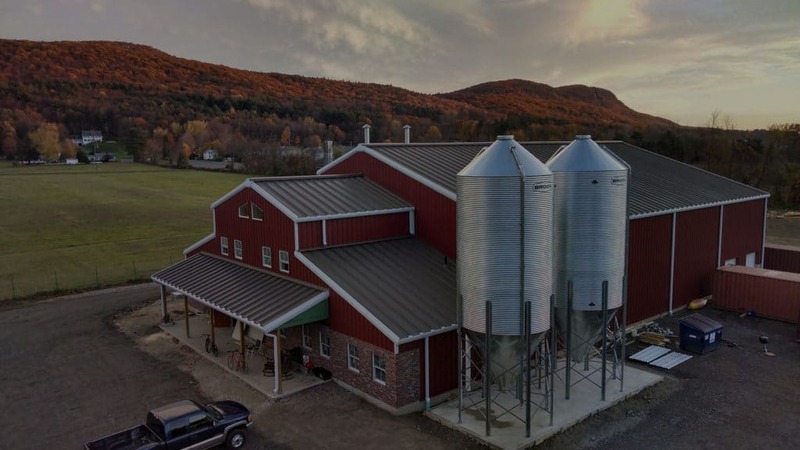 Owner, general manager, head brewer and staff photographer Eric Berzins got this shot of the view from above the Fort Hill Brewery in Easthampton, whose patio seating provides stunning views of the Mount Holyoke Range.